Heracles, son of Zeus, is one of the great heroes of ancient Greek mythology. His most famous feat was to slay the fearsome Hydra, a multi-headed creature whose breath could kill instantly. Even the Hydra’s smell was said to be so poisonous that anyone who approached it died in agony. In his struggle to kill the Hydra, Heracles smashed at its heads with his club. However, no sooner had one head been destroyed than two more grew in its place, an expression of the hopelessness of his struggle. Realising that he could never defeat the Hydra alone, Heracles called for help to his charioteer Iolaus, who burned the stump of each head as soon as it was struck off to prevent others growing in its place. In this way Heracles was able to finally cut off all the heads, including the final immortal head, of the Hydra. 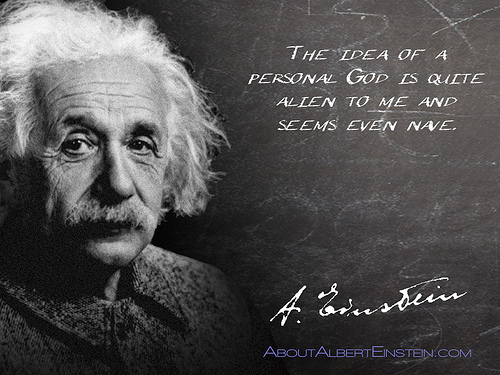 In his writings on science and religion, Albert Einstein remarked that while it is not difficult to come to an agreement as to what we mean by science, definitions of religion do not come so readily. Dictionary definitions of religion generally refer to beliefs and practices based upon supernatural and moral claims about reality. Religions differ radically, however, both in their beliefs about the supernatural and in what they profess to be acceptable moral behaviour. Discussions on religion, therefore, often achieve little because the multitude of religions, along with the internal inconsistencies within faiths, means that any assertion can be quickly contradicted. Religion too is a hydra with many heads. One common characteristic of many religions is the claim that their particular version of supernatural and moral reality is the absolute, unchanging truth as revealed by God. However, as former Bishop of Edinburgh Richard Holloway has pointed out, a close reading of history shows that religious ‘truths’ – like cultural values – change over time. Catholic theologian Hans Kung has shown that Christianity, Islam and Judaism, far from being unchanging systems of belief, have all undergone profound changes in their foundational beliefs. Kung identifies the first radical change in Christianity as the realisation by the earliest Christians that the second coming of Christ was unlikely to happen in their own lifetimes. The first Christians preached in the fervent belief that Jesus’s return and the establishment of the Kingdom of God on earth were imminent. ‘Repent for the Kingdom of God is close at hand’ was a warning that the end of the world was literally upon us. After a number of generations had passed, however, belief in this apocalyptic vision became more difficult to maintain. Faced with this profound disappointment, many came to believe that a radical reappraisal of Jesus’s teachings was needed. The move from the apocalyptic worldview of the earliest Christians to a post-apocalyptic reappraisal of the meaning of Jesus’s teachings was the first of the many paradigm shifts which Kung identifies as having taken place over the 2,000 year history of Christianity. Other later shifts in fundamental beliefs arose out of the encounter between Christianity and intellectual thought, resulting in the development of Christian theology; between Christianity and political power, out of which came the centralisation of authority in the Pope and the church hierarchy; and in the splintering of Christianity in the Reformation, which coincided with the invention of the printing press and the discovery of the Bible by ordinary people. The most recent paradigm shift in Christianity is still occurring as Christianity attempts to accommodate its traditional teachings with the discoveries of modern science. Rather than being a monolithic, unchanging and unalterable code, Kung demonstrates that mainstream Christian belief has adapted to changing circumstances throughout its history and has continuously reinterpreted previous beliefs in the light of new knowledge. The histories of other major religions demonstrate similar evolutionary processes at work. Religious beliefs, like the Earth’s massive continental plates, are slowly but inexorably moving beneath our feet. This evolutionary perspective on religious belief partly explains Einstein’s difficulty in providing an easy definition of religion, because the evolution of religious ideas differs radically from the evolution of ideas in science. Generally in science, whenever one theory has been superseded by a new one, the old scientific theory quickly fades away. The theory that the sun and planets orbit the Earth, for example, has been discarded because we now know that our Earth is one of nine planets orbiting the sun. The evolution of religious ideas proceeds differently. The fact that a previous religious paradigm has been superseded does not mean that it disappears. More often than not it continues largely unchanged, persisting as a separate and distinct religious worldview. The belief in the imminent return of Jesus for example, although rejected by mainstream Catholicism at the Council of Ephesus in AD 431, still persists in some Christian denominations. It remains, for example, a strong conviction for many on the religious right and within the Republican Party in the United States. Just as evolution by natural selection has resulted in the diversity of animal and plant species in the world today, so the cultural evolution of religious ideas has resulted in a bewildering array of religious beliefs. The diversity of peoples, histories and cultures in the world means that the branches on the tree of religious evolution constitute a richness of human thought, hope and wisdom. Unfortunately they also constitute a litany of violence, prejudice and hate. Alongside the many positive aspects of religion, some features of religious belief, like the heads of the hydra, have breath that can kill. This entry was posted in Building a Better Future and tagged atheism, future of religion, science and religion by Ian | disorderedworld. Bookmark the permalink.